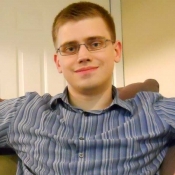 Nick is a Software Analyst managing a Microsoft SharePoint environment in Seattle, Washington. Nick's job entails project management, software support, and communication with the team in India. Nick provides a lot of useful and inspiration information about job search after college. In addition, you can tour his Seattle, Washington apartment!